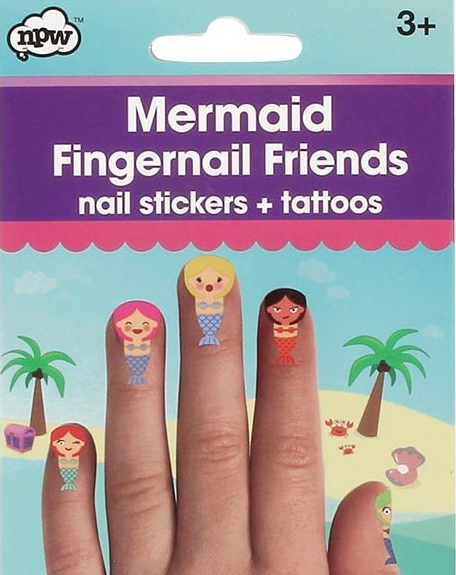 Totally mermazing finger tattoos will give little fingers a mermaid makeover. Turn fingers into finger puppets, what fun to be had. Pack contains 25 stickers and removable tattoos of various sizes.